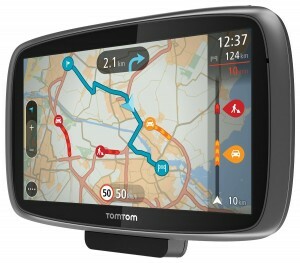 TomTom’s new flagship sat nav, the TomTom GO 6000 makes navigation blissful thanks to numerous features such as, Maps for 45 European countries with lifetime updates, totally redesigned menu system, and Lifetime TomTom Traffic via built-in mobile data among others. 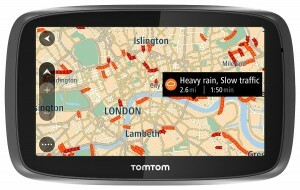 Not only does it offer a 6-inch touch screen display, a big step compared to the 5-inch displays that are the standard issue, and ahead of any economical smartphone, it also offers TomTom’s exceptional Traffic service for the lifetime of the device. Also included is built-in wireless data, which helps do away with partnering with a smartphone and feeding off the latter’s data plan to supply this information. It features maps for 45 European countries, inclusive of lifetime updates. This means that there will never be a need for you to purchase a new map. Unfortunately, the speed camera locations are not incorporated for the life of the product. Instead, following a trial of service of three months, you will have to part with £19.99 a year if you wish to continue utilising it. Thanks to the 3D Maps, you will be able to enjoy stunning 3D views of features such as buildings and landmarks. The 3D Maps help ensure that you always know exactly where you are. Via the Map Share community , you will be able to Share and download map verified changes. In addition, you will be able to spot Points of Interest around you. From hotels to petrol stations, this sat nav unit does come pre-loaded with millions of useful POIs. As you approach key junctions, thanks to realistic 3D pictures, you will be able to clearly see which lane to take and avoid missing your turning. The satv nav unit comes with a power cable that now makes use of a micro USB connection to affix to the mount, of which the unit itself includes the same connection. What this means is that in case your cable get misplaced or if you find yourself in need of power from somewhere else, then you can make use of any cable from a number of mobile phones. In addition, the car power adapter is separate from the cable, and it utilizes a regular USB, which means that there won’t be a need for a separate cable to update maps or the firmware on the device. With a revamped design, the GO 6000 now boasts of a fantastic icon-driven interface. When compared to previous sat nav units, the GO 6000 and the TomTom Go 500 comprise of entirely different menus which can make you think that you are getting a product from a completely new manufacturer. For those who have been used to earlier sat navs from TomTom, you may require a bit of time in order to adjust from thinking that you need to tap the screen in order to call up the menu as opposed to making use of an icon. 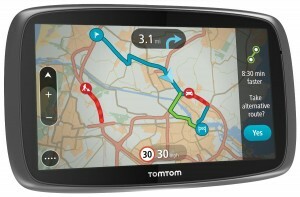 Ultimately though, this sat nav unit can be utilised straight out of the box. All you have to do when you remove it from the box is tap on the map and off you go! The easy to navigate and safe screen also makes it an appealing gadget to own in addition to boasting of a 6 inch high resolution display.